For the past few years, there’s been a new trend in how some batters are approaching hitting. That approach pisses off John Smoltz and has become something of a hot button topic throughout Major League Baseball. The idea itself isn’t anything new, but it’s never been as unilaterally applied as it now is throughout the league. It’s only been in the past few years that Statcast data has allowed teams, researchers, and fans alike better insight into the launch angle approach. Thanks to the work of Darren Willman at Baseball Savant it’s now possible for anyone to dig deep into launch angle. The reason that launch angle should matter to Chicago Cubs fans was made abundantly clear with the firings of both John Mallee and Chili Davis. The Cubs last two hitting coaches had different ideas about launch angle. Chili’s anti-launch angle ways won out in 2018, but his victory was shortlived. In player exit interviews a common theme among the 2018 Cubs hitters was that they did not buy into Davis’ coaching style or methods. launch angle itself was never mentioned, but Davis is a gap-to-gap hitting coach, so it is safe to assume that players voicing displeasure with his coaching style revolved, at least somewhat, around his aversion to launch angle. Mallee wasn’t exactly pro-launch angle, but he approached his job as hitting coach as more of a journey to power. He wanted guys hitting the ball hard and far. Launch angle became a way for guys to do just that, and accordingly, Mallee let guys work a launch angle approach and succeed as much as they could. Mallee wanted a team that would hit line drives and put the ball in the outfield. For the most part, his Cubs teams did exactly that. That’s not to say that Mallee’s coaching style was perfect, he lost his job after the 2017 season mainly because the Cubs offense struggled mightily down the stretch and in the postseason to score runs. The common denominator, outside of the players obviously, is the manager, Joe Maddon. Often erroneously cited as being innovative or statistics driven, Maddon is more quirky than anything else. Throughout his tenure, the Cubs have struggled to form an identity with a manager who is good at inspiring but not as much at implementing the data of a statistics-driven front office. The firing of Mallee and hiring of Davis was Maddon’s initial salvo against the idea of launch angle. In fact, the Cubs skipper spent the early months of 2018 ripping launch angle every chance he got. With Davis Maddon had gotten his wish; launch angle was no longer the approach of his Chicago Cubs and in his mind, the team was all the better because they weren’t trying to launch the ball any longer. There was a slight problem with the glee Maddon showed in interviews where he bashed launch angle. His glee didn’t match with what was happening on the field. The new no-launch angle Cubs were struggling offensively. The deeper into the season they went the more they struggled. Maddon stopped talking about launch angle as much and instead spent most of his time trying to zen his way from one game to another. Davis kept preaching that a contact-driven gap-to-gap approach was best for the team, but the results just weren’t there. Some players, like Willson Contreras, visibly regressed under Davis’ tutelage. On the whole, the team was lacking in power, and by the time they had lost the National League Wild Card game to the Colorado Rockies, the writing was on the wall for the Cubs beleaguered hitting coach. The truth is usually somewhere in the middle, as I’m sure it is when it comes to Mallee versus Davis. However, unlike the esoteric methods employed by Maddon in managing the team we have actual data that can tell us if Davis’ (and by proxy, Maddon’s) aversion to launch angle had an effect on the team. Luckily the Cubs had a core group of players who saw a similar number of at-bats in 2017 and 2018. Thus, setting the minimum number of at-bats to 300 we can get answers as to how launch angle affected the 2018 Cubs. Unpacking these numbers some thoughts are held up, while others are dashed. First and foremost is Willson Contreras and his increase in his average launch angle. I’m as guilty of anyone as watching Willson and thinking he wasn’t elevating the ball as much. Turns out on average he was elevating the ball more, a full degree more. The issues with Willson last year may be more tied to his Hard Hit % and Exit Velocity than launch angle. Both of those numbers were lower in 2018 than in 2017. The Cubs catcher regressed in 2018 but said regression had nothing to do with any drop in launch angle. Kris Bryant and Ian Happ actually saw an increase in their respective launch angle in 2018. Bryant only slightly increased, while Happ increased over a whole degree. This also flies in the face of the idea that Davis was so anti-launch angle that he hurt the Cubs hitting. However, the loudest complaint given in exit interviews against Davis was that he could not connect with younger players. Bryant and Happ may have improved their numbers specifically because they refused to buy into the contact-driven approach of Davis. Javier Báez is who he is, even if he is becoming more of a complete player. Báez broke out in 2018, but he hit the ball at the same exact launch angle as he did in 2017. Báez’s approach is based on hitting the ball as hard as he possibly can. He’s not really a contact guy, he’s a put the barrel on the ball guy. Coming into this I didn’t expect to see him affected by the switch from Mallee to Davis as his approach didn’t change so much as his results finally caught up with his talent. The grouping of Jason Heyward, Anthony Rizzo, Addison Russell, Kyle Schwarber, and Ben Zobrist all dropped in launch angle in 2018. Zobrist is locked into his own approach. He’s not a launch angle disciple, he is a contact guy. He was that before Davis came along, and his approach didn’t change in the two previous years spent with Mallee. He only dips a minuscule .3 and that’s to be expected. Heyward dropping a degree was good for him as he is a line drive hitter and by adjusting back to being that he improved as a hitter in 2018. Heyward can be counted as a victory for the Chili Davis approach. Rizzo, Russell, and Schwarber all produced significantly less launch in 2018 as compared to 2017. Rizzo is hard to quantify though, he had a typical Rizzo season. It took him a while to get there, but once he emerged from the early-season slump he produced numbers right in line with his career marks. His power numbers did end up being profoundly down. His Slugging, doubles, and home runs were lower than in 2017 and lower than they had been in a few years. However, he struck out less and did make more contact in 2018 than in 2017. Schwarber saw all of his power numbers decrease as well, while also striking out less and putting the ball in play more. In the case of Schwarber, the question is what type of player do you want? I think the front office wants a power hitting lefty who takes his walks. They aren’t really looking for a contact-driven player who hits a lot of singles while still taking his walks. When it comes to Schwarber I think it’s clear that Davis helped turn Schwarber into the opposite of the hitter he needed to be in order for the 2018 Cubs to succeed. The less said about Russell the better, for a number of reasons. Russell was awful last year in just about every metric. He struggled at the plate and he stumbled in the field. His approach at the plate consisted mainly of pulling his head off the ball as he tried unsuccessfully to pull every pitch thrown his way. Long before domestic violence and emotional abuse allegations landed him on administrative leave it was glaringly obvious that Russell was a negative at the plate in 2018. I’m not willing to hold that against Davis; I’m not sure any hitting coach would have been able to get a good performance out of Russell in 2018. What did this little exercise reveal? The truth is somewhere in the middle, like always. Davis made an easy scapegoat for the Cubs hitting woes in 2018. He needed to be replaced, at the same time he did help certain Cubs hitters to improve in key areas. More than anything the idea that Davis, and by extension Maddon, pushed an anti-launch angle agenda that drastically altered the approach of the hitters is both right and wrong. For sure Schwarber was affected by a retreat from focusing on launch angle. The rest of the team was at worst mildly affected, or just ignored what Davis was preaching and stayed true to their preferred approach. The 2018 Cubs had offensive issues from the get-go. Those issues never truly went away. The players, Davis, and Maddon all deserve to share the blame for the struggles of the offense. Contrary to what most think, it doesn’t appear as if Davis and Maddon damaged the produced launch angles of players with their contact over launch angle approach. 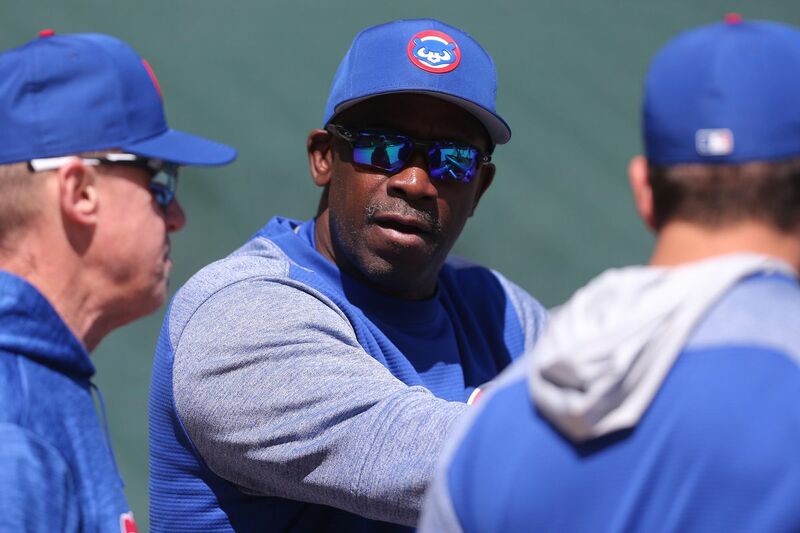 2019 will see another hitting coach, Anthony Iapoce, and another chance to see what effect, if any, Chili Davis and Maddon’s crusade against launch angle had on the Cubs hitters.